Last week was an important time in the liturgical calendar with Ash Wednesday marking the start of Lent. This is a significant date in the Christian calendar; a season of penance, reflection, and fasting which prepares us for Christ's Resurrection on Easter Sunday. The ashes are made from the blessed palms used in the Palm Sunday celebration of the previous year. The Church calls on us to seek mercy during the entire Lenten season with reflection, prayer and penance. Thank you to Mrs Wendy O’Neill, Liturgy Coordinator for her organisation and for the lovely Ash Wednesday service. 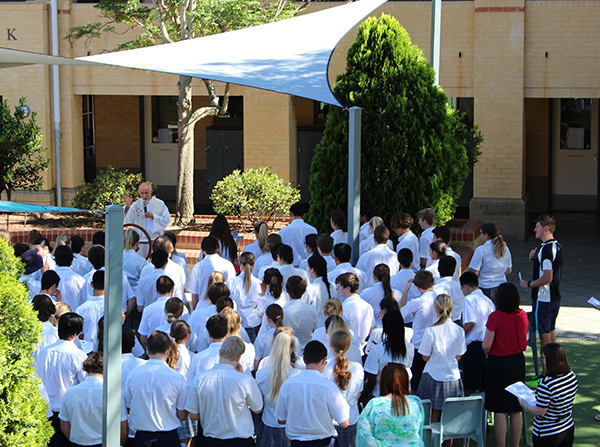 Our College Opening Mass held last Thursday 15 February was a wonderful opportunity to welcome new students and staff to the Mater Dei College community. Thanks are extended to Fr John, Mrs Wendy O’Neill, Mr Basile and Mrs Byrom-Carter, the choir and musicians. At the College assembly last week we had the pleasure of a presentation from the Honourable Mayor Hon. Albert Jacob. Year 11 student, Eden Ridal was the recipient of the City of Joondalup Youth Award. Congratulations Eden! 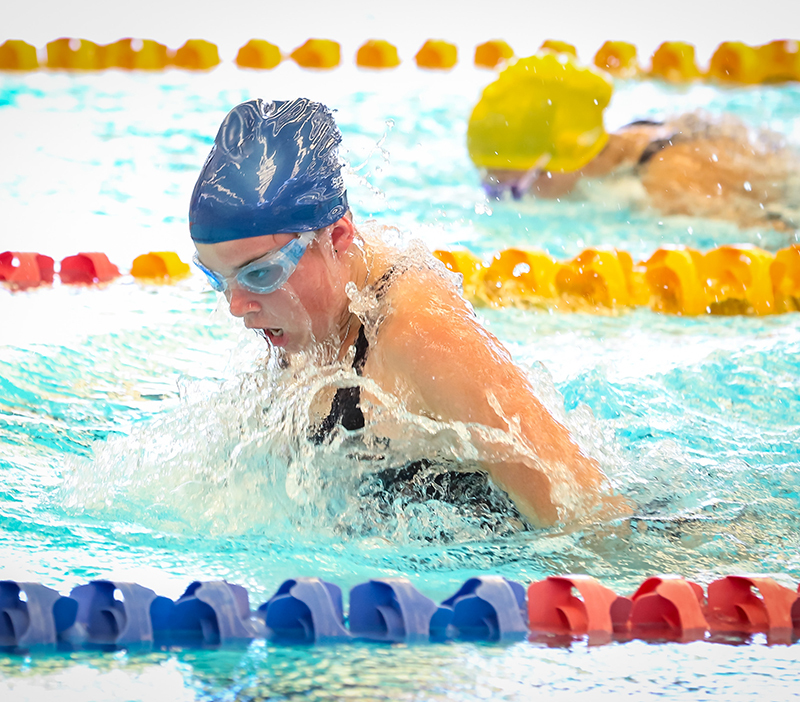 The College House Swim Carnival held last Friday at Joondalup Arena was a wonderful day filled with House spirit and determination. Well done to the student participants and House Leaders and congratulations to the winning House on the day, McCormack House. It was lovely to see so many parents and families attend to encourage their children. The individual results and presentations will take place at the next full College assembly. Thank you to Mrs Wendy Martin, Mr Byrne, House Advisors and Student House Captains. A date for your calendar is the first Parent Seminar on Tuesday 6 March at 7pm held in the Catherine Centre. The seminar will be facilitated by staff at our College on the topic of connecting to the Parent Portal and the use of SEQTA. I strongly encourage all new families and those who have not used the parent portal to attend. Please bring a laptop or personal device with you as you will have an opportunity to log onto the parent portal during the seminar. A reminder the College AGM is scheduled for Tuesday 27 February in the Catherine Centre above the Treetop Café. All parents are welcome. As part of the System Agreement with the Minister for Education, every Catholic school is required to have a Code of Conduct in place commencing in 2017. The purpose of the Code of Conduct is to provide minimum standards of conduct in all behaviours and decision making to ensure the safety and wellbeing of students. The Code applies to all within our school community including staff, students, volunteers, parents and guardians as applicable. The Code of Conduct and Guidelines are available on the SEQTA portal. Breaches of the Code must be notified to the Principal. This past fortnight, all staff working at Mater Dei College took part in professional development regarding Child Safety. 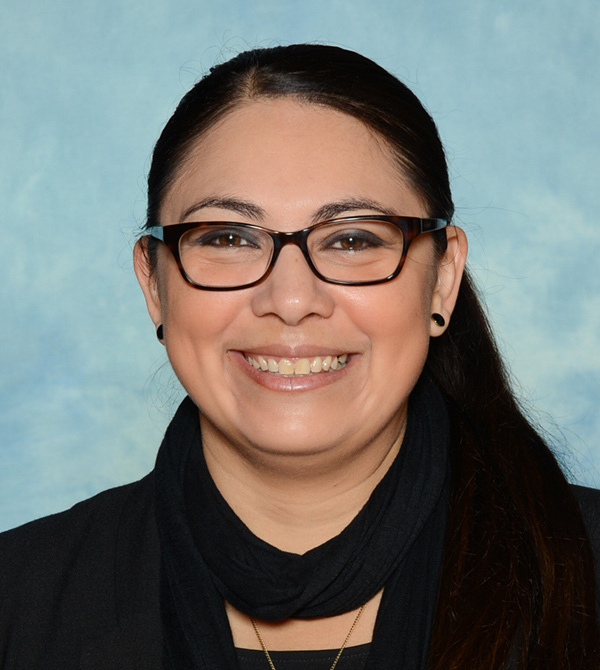 Students will be provided with relevant information throughout the year in their Pastoral Care Program. I strongly encourage all families to access the Code of Conduct on the portal. In the next few weeks we commence the interview process for Year 7 2020. Please contact Mrs Ang Lourens, Enrolment Officer for information. Tristan Hobley – Tristan was the recipient of the Curtin University Principal’s Recommendation Award including a scholarship to the value of $1000 to use towards the Bachelor of Engineering course he is enrolled in. We are very proud of all the achievements students from the graduating class of 2017 have earned and wish every one of them the very best for their future endeavours. 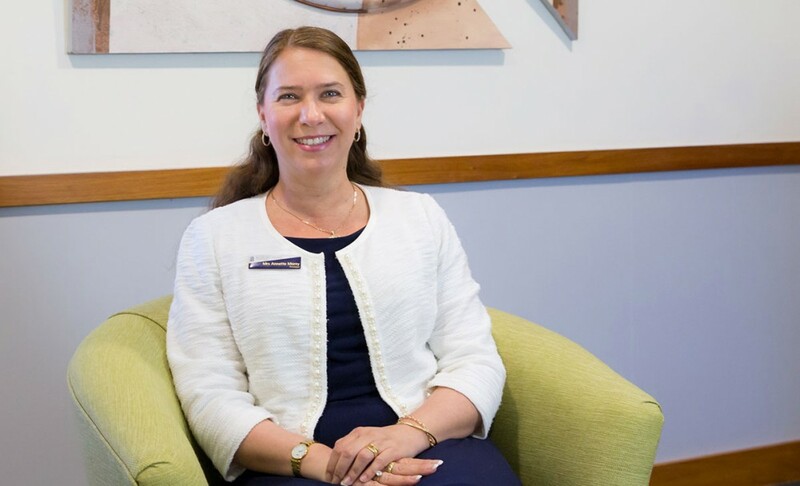 In order to graduate from high school and achieve the Western Australian Certificate of Education (WACE), all students are required to demonstrate a minimum standard in literacy and numeracy. Students who do not achieve Band 8 or higher in NAPLAN Reading, Writing or Numeracy are required to pass the Online Literacy and Numeracy Assessment (OLNA). Students in Years 10-12 who are yet to pass one or more OLNA component and their parents have now been notified. The next opportunity to complete the OLNA assessments is shown below. Note – Compulsory attendance at the following sessions is required for all Year 12 OLNA students and is recommended for students in Years 10 and 11. Mater Dei College has purchased a subscription for Online Support for all students in Years 11 and 12 who need to pass the OLNA. This package will enable you to practise questions from past OLNA tests, and specific feedback will be provided to you. Year 10 students who would like to access this support package should see their English/Mathematics teacher and attend the after-school support sessions. In last week’s newsletter, we asked students and parents to read and become familiar with the College’s new Homework Policy which applies to all students in Years 7-12. This week we would like to highlight changes which have occurred to the Mater Dei Assessment Policy. Students are required to attempt all in-class assessment tasks on the scheduled date, and submit all out-of-class assessment tasks for marking on or before the due date. If an out-of-class assessment task cannot be submitted directly to the teacher, it may be emailed to the teacher or submitted to Student Services to be passed on to the teacher. If a student requires an extension due to sickness, injury or significant personal circumstances, he or she is required to complete the official Application for Extension Form. This form can be accessed via the student portals on SEQTA, from class teachers or from student services, and must be submitted to the relevant teacher at least three days in advance of the due date of the assessment for which the extension is being requested. If requesting an extension for more than one assessment, an additional form must be completed for each assessment task. The subject teacher will notify both the student and their parents of the outcome. One day late - 10% of the total marks value of the assessment will be deducted from the students score. Two days late - 50% of the total marks value of the assessment will be deducted from the students score. Three days late - The student will receive a score of zero for the assessment, and must still complete and submit the assessment for marking and formative feedback. The support of parents in ensuring that students complete all assessments on time and to their best of their ability will help to ensure the best academic outcomes for all students. The full College Assessment Policy can be accessed via the College website. Please be advised that the College Photo Day which was scheduled for Tuesday May 8 has now been changed to Wednesday May 9 2018. This change has now been reflected on the calendar on the College website. The more of this website that students can work through the more they will set themselves up for academic success. On Tuesday, we had 66 students and two teachers from our Sister School in Fukui visit for half a day. They were hosted by 36 volunteers from Mater Dei College from all groups. Although the visit was only half a day, in this time the visiting students had the opportunity to taste Vegemite, Lamingtons and unusual TimTam flavours. Despite the short visit, many of the Mater Dei students created a great bond with their visiting student. On the same day, seven Year 12 students visited Perth City Council House and participated in a Courtesy Call, with some Japanese students from our Sister City of Kagoshima. 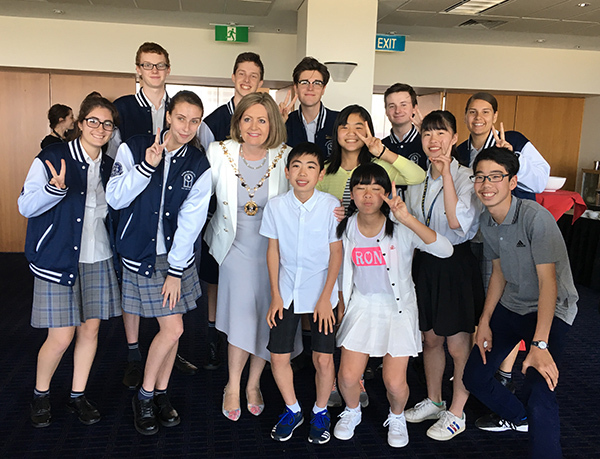 The visiting students were winners of the ‘Place Yourself in Perth’ competition and our students had a great opportunity to talk in Japanese with the younger students and share their experiences of visiting Kagoshima last year. We look forward to many more opportunities for our students to use their Japanese abilities with students from Japan! The New Year has set an interesting challenge for the Year 12 Drama class: to produce a full-length play with just six weeks to prepare (performances 8, 9, 11 & 12 April). Every week somewhere in Australia news headlines proclaim yet another tragedy of young lives lost in a car wreck. Communities are shocked, politicians duck for cover and families are torn apart… the same story again and again. Set a month after the crash, Engine is the story of ‘Grumpop’ who lost a grandson and Natasha who lost a brother. Engine is a highly charged theatrical event about family, friends and cars and of fixing what’s broken and celebrating life. Tickets will go on sale to coincide with the next Newsletter. Using trybooking.com, patrons will be able to view and select their seats and have the convenience of paying for their tickets online. Tickets will be snapped up quickly at $15 Adult, $10 Concession, and $44 Family (2 x Adult, 2 x Concession). Turn the key and fasten your seatbelts. Engine is coming. 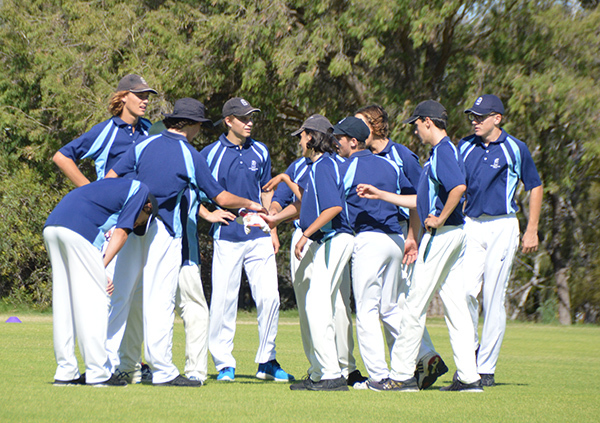 The first game of the year for the Senior Boys Cricket Team was played at Prendiville Catholic College. After winning the toss and batting first, Mater Dei got off to a strong start before losing wickets consistently towards the end of the innings. Matthew Richards batted beautifully through the middle overs to see the team to a respectable total of 9/124. The Team were confident they could defend the total. It was a good start with a wicket in each of the first two overs. Thomas Snelson and Isaac DeMarte were the pick of the bowlers with 3/6 off three overs and 1/10 off four overs respectively. Prendiville were restricted to a total of 8/91 from their 20 overs. It was a great way to start the season as the team prepares for the following fixture games against Irene McCormack and St Stephen’s Carramar in the coming weeks. 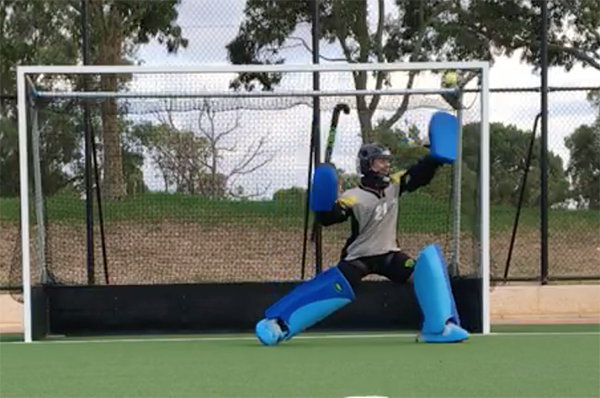 After her success in Adelaide as the goalkeeper for the WA U16s State Hockey Team, Caitlin has been formally invited to play for the U18s Northern Territory State Hockey Team, to be held in Tasmania in March this year. Congratulations, Caitlin, on your success so far and we wish you all the best in Tasmania. Charli Woodward has been selected to compete in the Junior Australian National Athletics Championships this year in Sydney. 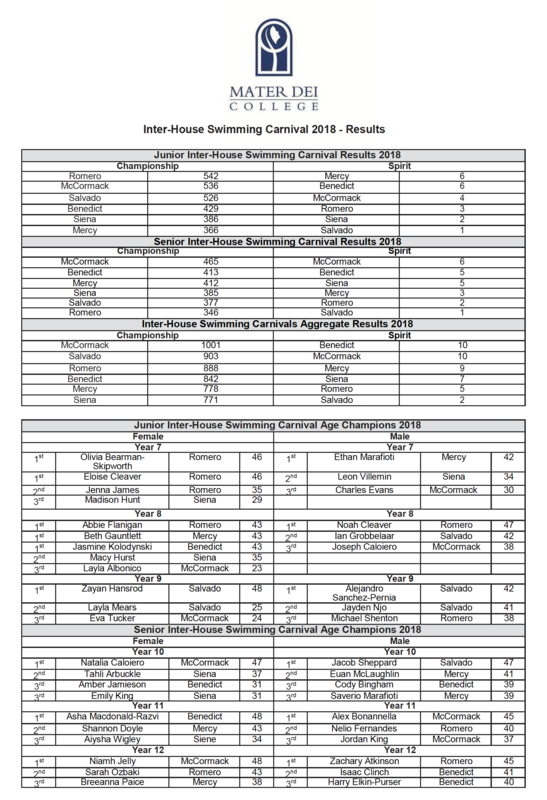 The Junior Nationals are held between the 14th and 18th of March. Charli has qualified to represent WA in four events, triple jump, high jump, 100m and 200m. We wish Charli all the best, the Mater Dei Community is right behind you. Congratulations to Noah Farrow on his athletic achievement. Noah competed at the State Combined Championships at Challenge Stadium in his first ever heptathlon. Noah’s group had 16 boys and they completed 90m hurdles, discus, 100m, javelin, high jump, long jump and 800m. After achieving 3 personal bests Noah was awarded the silver medal and has been invited to compete in Singapore to represent WA. We are very proud of his achievement! Congratulations to Ashlee Harwood on her recent National Softball Championship success. Between the 6-12th January 2018, Ashlee travelled to Sydney, NSW for the 2018 Under 17 National Softball Championship. 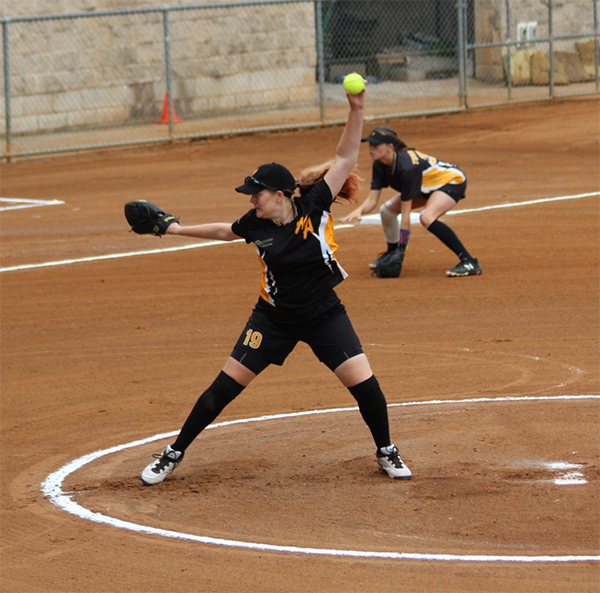 During the week long competition Ashlee did the majority of the pitching for the state team. 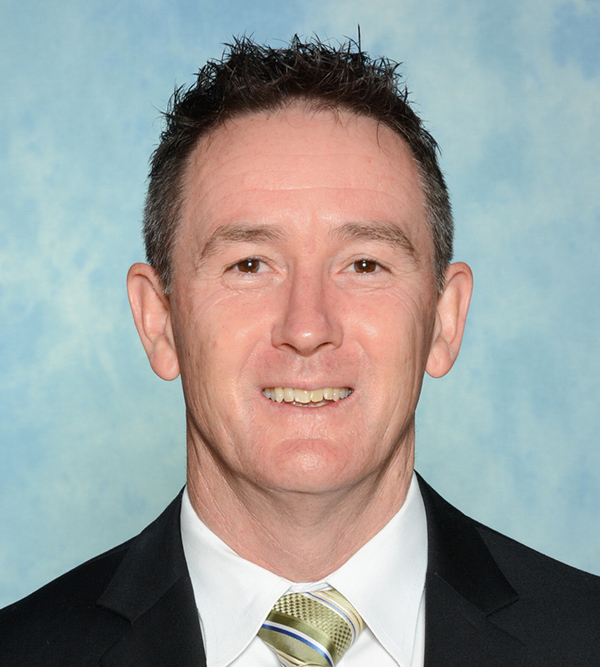 WA beat ACT in the Semi Final (0-4) then faced a battle against Queensland with an 8-1 loss. This loss meant that at the end of the Championship event the team came 3rd in Australia, which is the highest WA have placed in the last 5 plus years. Following Ashlee’s performance at the National Championships, the Head Coach of the Inspire Sport Tour for 2018 to the USA contacted Ashlee and offered her a position as a pitcher on the team, stating ‘she was impressed with Ashlee’s performance during the week of the competition.’ Ashlee has also been offered to try out as a pitcher for the 2018 Interstate girls U/17 Softball team (School Sport WA) which is travelling to Cairns, QLD in May. Well done Ashlee! Congratulations to James Munro-Clinton on his nomination for RSL Cadet of the Year Award. 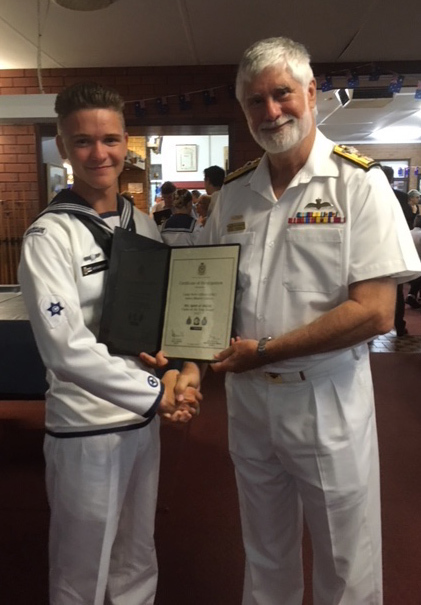 He was one of five navy cadets nominated for the award that recognises a cadet’s leadership, respect, courage, dignity and self-respect, personal grooming, and how a cadet presents themselves on parade. Once he was nominated he was required to attend an interview and present a speech in front of his peers on what the ANZAC Sprit means to him. He was also tested on First Aid and general knowledge. Nominations are taken from Navy, Army, Air Force cadets and other Cadet Groups and Organisations, there was a total of 17 cadets nominated this year, with the top four Cadets receiving a trip to Canberra to represent all WA Cadets on ANZAC Day. Unfortunately, James was not successful on winning the top award but he was awarded a Certificate of Participation from the RSL. Congratulations and keep up the great work James! Author of ‘Wonder’, which is now a movie and the inspiration behind the ‘Choose Kind’ challenge. You can borrow ‘Wonder’ and “Augie and Me: three Wonder stories” from the Library and Choose Kind! We invite parents and guardians of high school students to join us on campus for Notre Dame’s Parent Information Evening. Our presenters and panel of current students will discuss and answer your questions about Notre Dame’s unique admissions process, the programs on offer, recommended subjects, alternative pathways, and how your son or daughter can best prepare for the transition from high school to university. We invite current Year 11 and 12 Aboriginal and Torres Strait Islander students and their parents/guardians to join us for our annual Have a Yarn event. There will be an opportunity to chat about Notre Dame courses, alternative entry, hear from current students and enjoy a barbeque dinner. We invite prospective students and their families to join us on campus for Notre Dame’s Medicine Information Session. Information about the Doctor of Medicine (MD) and Pre-Medicine Certificate (PMC) will be discussed including the application and selection process, course structure, and important dates and deadlines. 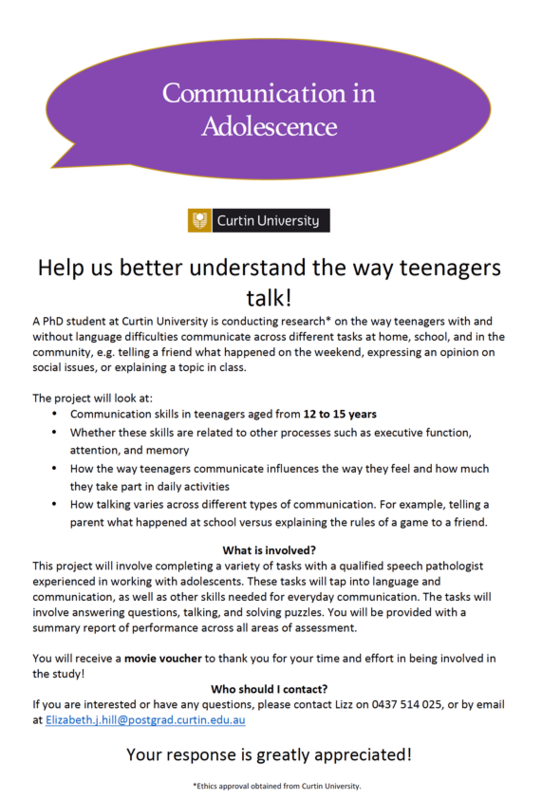 An exciting opportunity has arisen for Mater Dei students to participate in a research project conducted by Curtin University PhD student, Lizz Hill. The research explores adolescent communication skills and their role in maintaining emotional wellbeing and quality participation with friends in and out of the classroom. It is open to students aged 12 to 15, and will involve completing a variety of tasks with a qualified speech pathologist. If you are interested in participating in this research, or would like to receive more information, please contact Lizz on 0437 514 025, or by email at Elizabeth.j.hill@postgrad.curtin.edu.au. Are you between the ages of 14 and a half and 18? Are you looking for skills and friendships which will last you a lifetime as well as the independence that comes with being a young adult? If so, the Beldon Venturers are looking for new members. The Venturers are a youth organisation in which the youth, make the decisions. If you are interested, email Brock Bayley at, brockscouts@gmail.com. It’s time to take the leap!